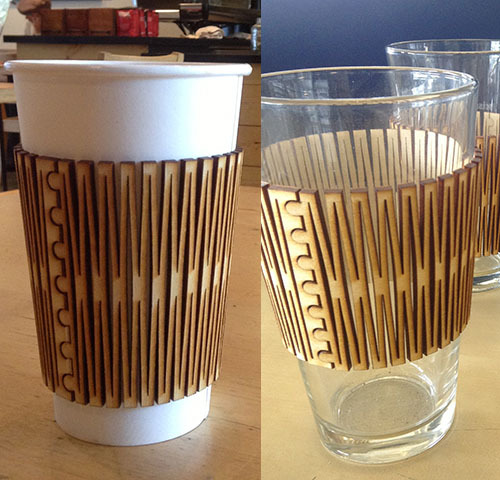 Everyone grabs a cuff when they buy coffee, but Sweeney decided to make attractive, reusable plywood cuffs. The cuff bends because the creator used laser Kerf-bending. He cut slits and designs into the plywood which reduced the closed surface area and made the wood more flexible.